I'm Juanita Salisbury, a landscape architect in Palo Alto, California. The campaign objective is to raise funds for creating a pollinator garden and habitat. The site is in a parkway located between Primrose Way and Embarcadero Road in Palo Alto. Currently the site has nothing but lawn and four Cherry trees. The size of the area is about 20'x200' long. We need to remove and haul away the grass, prepare the soil by tilling, amending, mulching and then plant native California plants. We will also be using boulders and logs to create habitat and paths. Most of the funds will go for site preparation (about $15,000) and the rest for plants and signage. Our goal is to have the site prepared by December 31, 2016. We'd like to plant in Winter or early Spring 2017 to take advantage of the rainy season. Because it could take a couple of months to schedule the site preparation, we'd like to have the funds raised by the end of October 2016 or earlier. I often walk through the residential neighborhoods in the area and am always struck by the differences in pollinator visits to the front yards I walk past. Yards with native and pollen-rich plants are alive with native and honey bees, butterflies and hummingbirds of all kinds. Sadly, such yards are the exception rather than the rule. Most yards do not provide year-long nectar, pollen or habitat for native pollinators. The neighborhoods are pollinator deserts. Native and non-native honey bees are struggling from habitat loss, less biodiversity, and pollution among other things. Since one in three bites of food and drink rely on pollinators, I was looking for opportunities to create more resources for them. 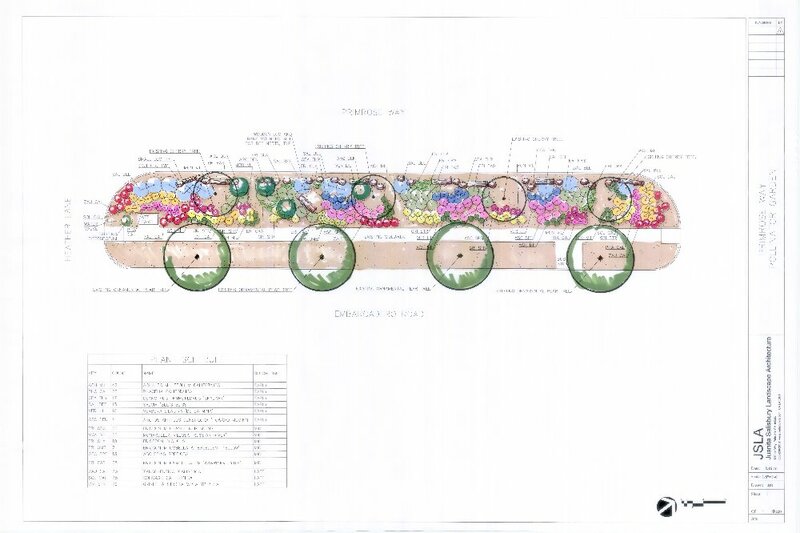 After talking with the city of Palo Alto about what I had in mind and drawing up a design for for the garden, they gave me the green light to proceed. 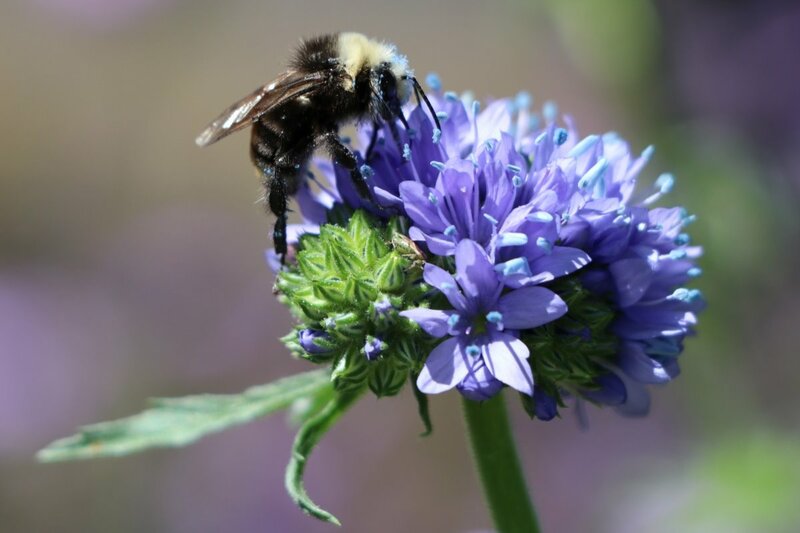 My hope is that others will be inspired to enhance the pollination resources by planting native (and/or pollen-and nectar-rich) plants and providing pollinator habitat. Inspiration can come from observing the complex and subtle interconnections of which we are part--and are right in front of us. I would like to thank all the donors, volunteers and allies for their support with our gardens. Yes, GARDENS. We started with the Primrose Way Pollinator Garden, and then installed the Arcadia Place, Island Drive and Guinda Street gardens. Two of the gardens--Island Drive and Guinda Street--received funding from the Happy Hollow Foundation for the initial planting. 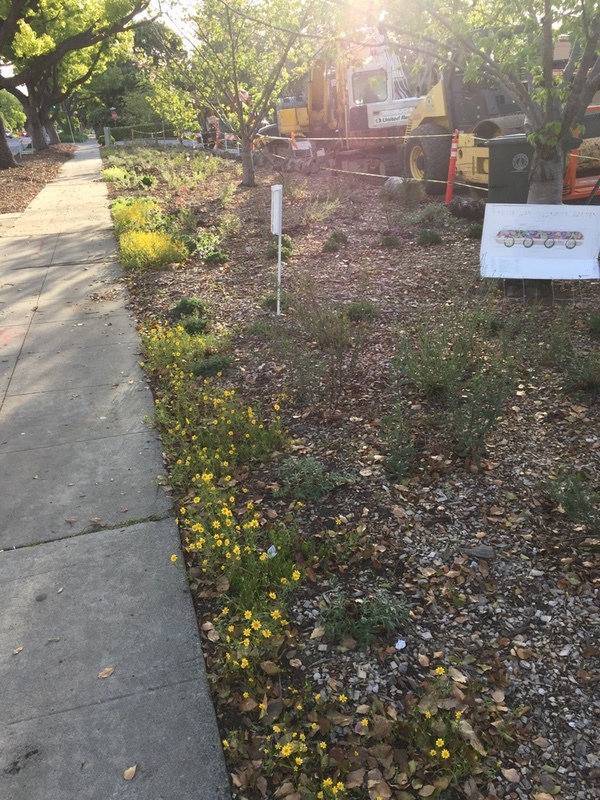 The City of Palo Alto has also been a wonderful supporter of our efforts: from their initial permission with the Primrose garden, to providing plants at Arcadia Place...and the much-needed site preparation at the Island Drive and Guinda Street gardens. It's a joy to provide these much-needed islands of biological resiliency. We're observing the pollinators and insects that are frequenting each location and noting what they like to eat. AND, we observed a tremendous success at our Island Drive garden when a colony of ground-dwelling native bees (possibly Lasioglossum) took up residence in part of the garden. In addition to our observations, we are continuing to add new plants to the gardens and noting how they attract pollinators. 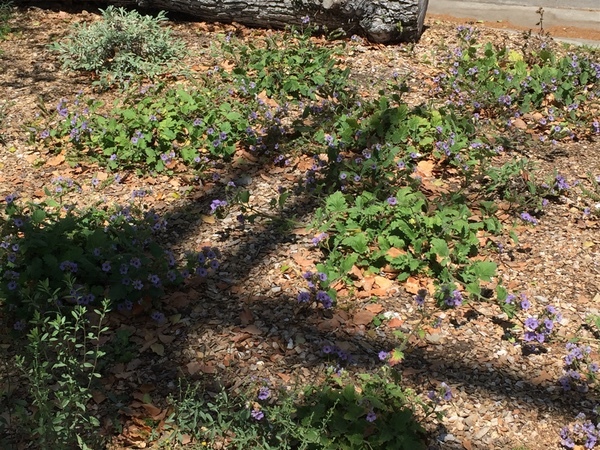 With 7,000 native plant species in California, we have a lot to choose from. We're planning to write another grant for our Fall project, so stay tuned! More to come. Well, as some of you already know, we received funding for another garden! We received a Happy Hollow Foundation's "Progress for Pollinators" grant...and now are about 75% done planting up the oval Island Drive. I must say it's looking lovely. Gardens! Today I noticed a bumble bee zooming around, checking out the resources. Nature's moving in. And the Primrose Way Pollinator Garden is looking amazing as well. Some of the wildflowers have already reseeded and started bloooming! The Buckwheats are going strong still...as is the Salvia pachyphylla...and a few others. Thanks again to all the support! Gardens are wishes come true. The garden! Everyone's hard work is paying off. The plants are really taking off and blooming. And the best part is the bees discovering the flowers. Ah, Spring. Powerhouse of blooms --Phacelia bolanderi. We worked all day yesterday, adding yet more native plants and weeding until early evening. Our reward was the garden backlit in golden sunlight. In the dreamlike light, insects floated lazily...bringing time to a standstill and transporting me somewhere I hadn't been for a while. This is such a great idea! I think it would be great to know what plants that she intends to use via a planting list because this could 1) potentially generate some donations from those of us who have straggler plants in our yards and; 2) Educate the community to encourage more individuals to plant pollinator habitats. I personally have very limited knowledge of which plants are great pollinators, which to put together, etc. I suspect many neighbors would benefit from this info as well. Thank you for all your hard work and dedication in keeping our Arcadia Place garden growing! Thanks for all your work on Arcadia Place circle. I've been wishing for decades that Island's 'island' could become a beautiful garden. Thank you 'fairy godmother' Juanita and your wonderful volunteers (such as Nancy McIllheney whom I saw out there today with you planting.) We are so excited about this garden. I look forward to watching the garden grow.